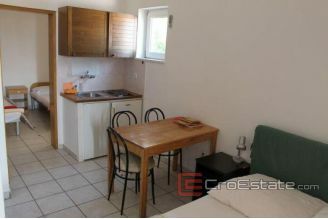 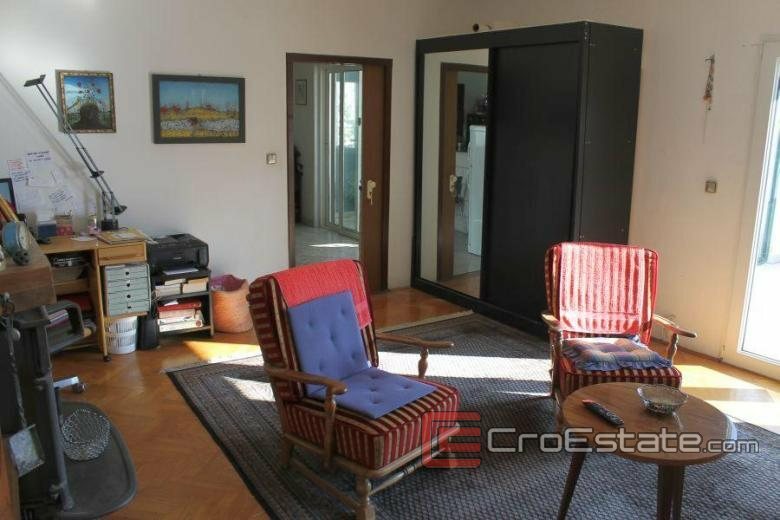 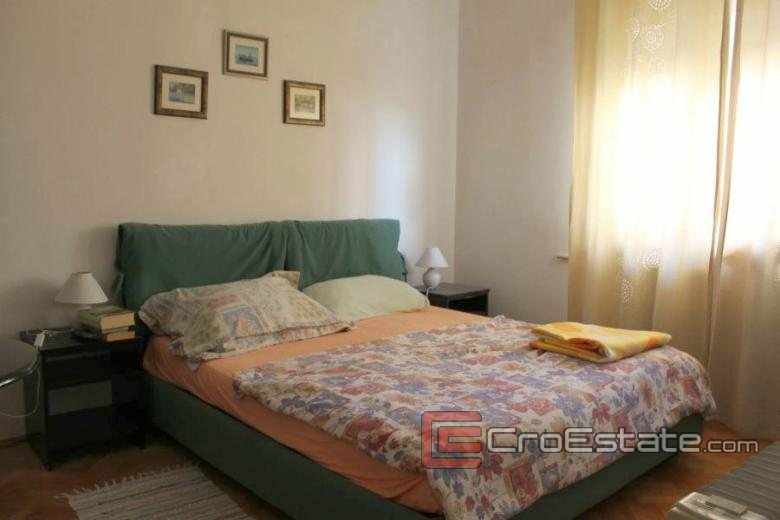 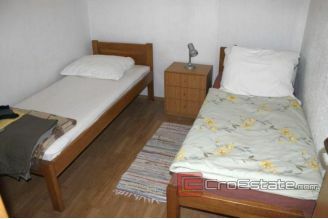 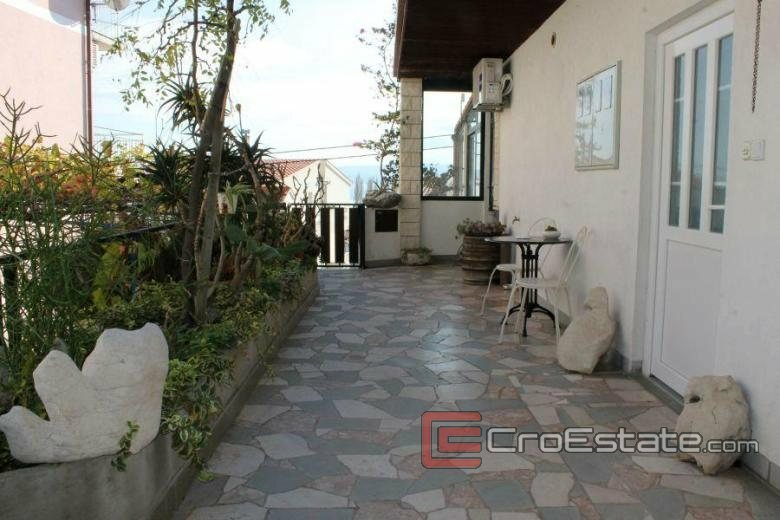 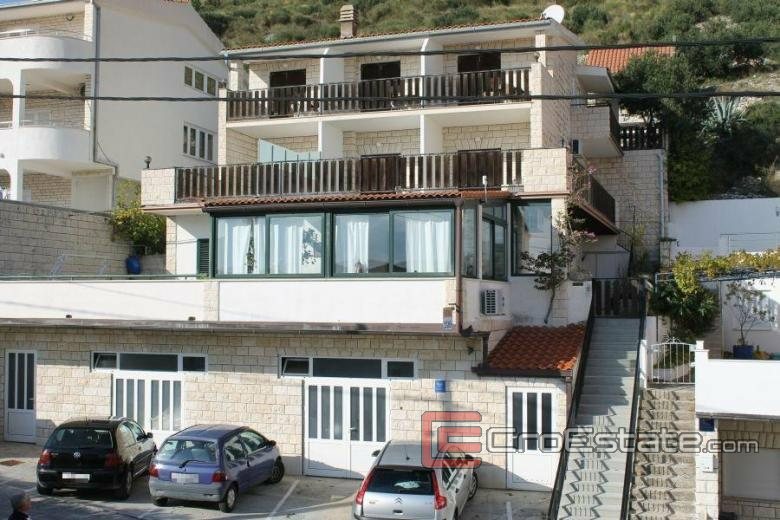 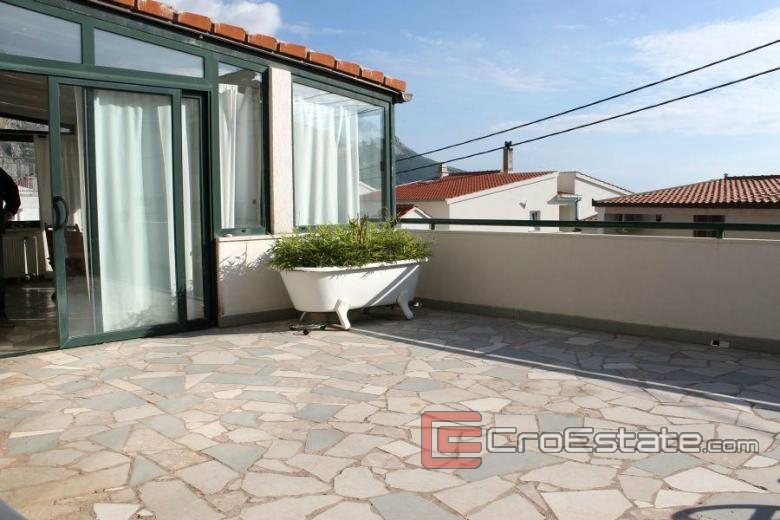 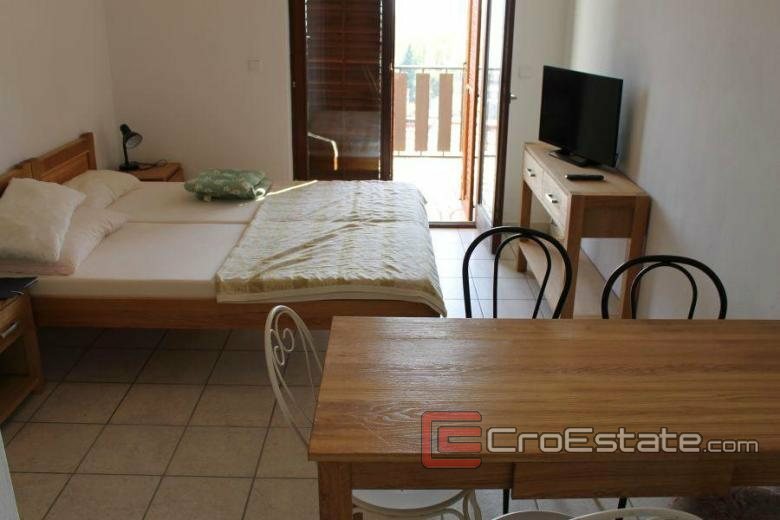 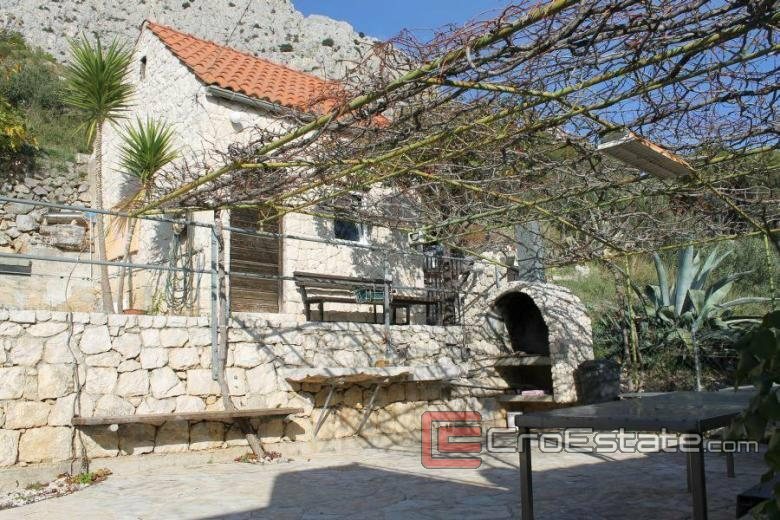 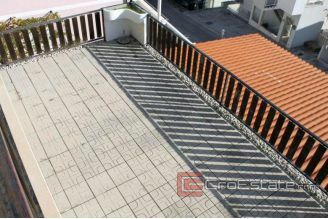 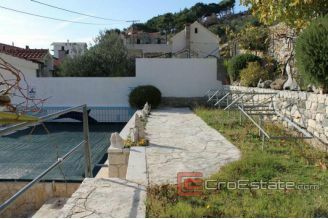 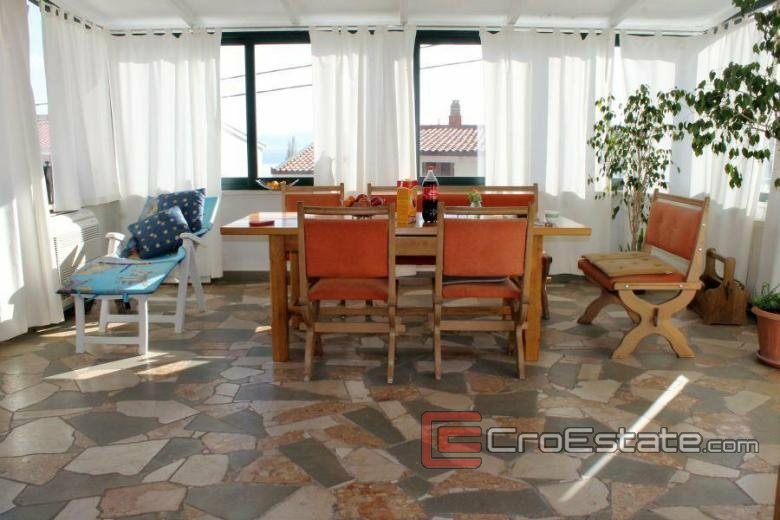 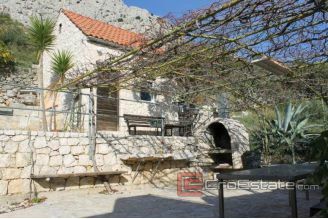 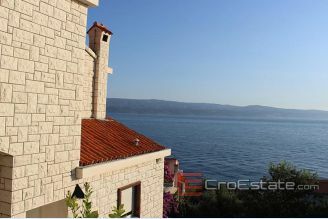 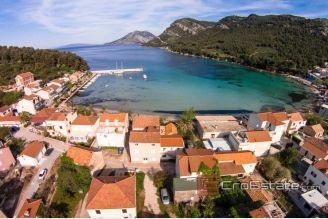 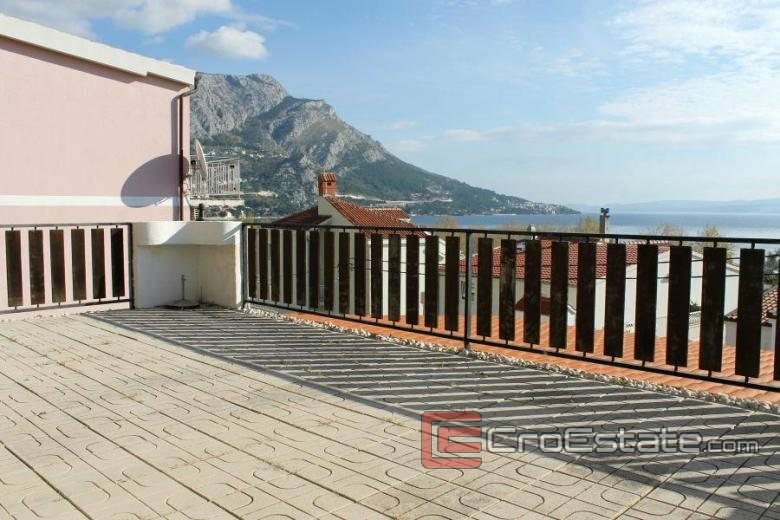 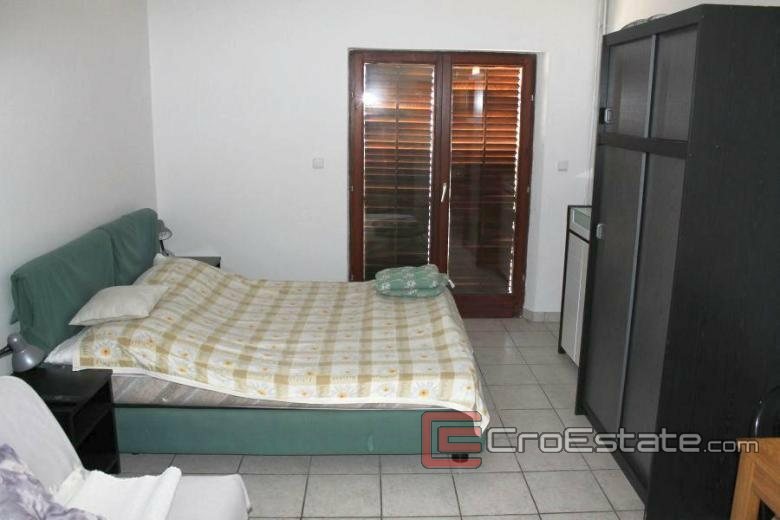 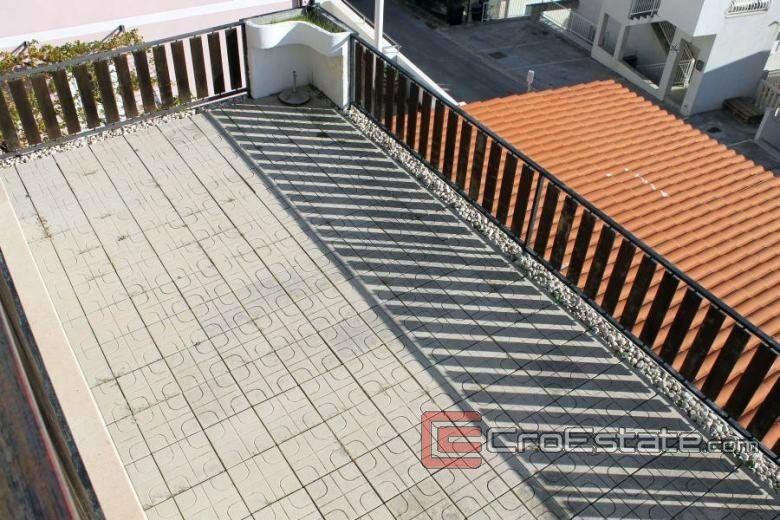 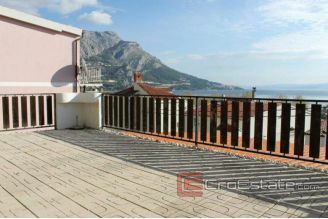 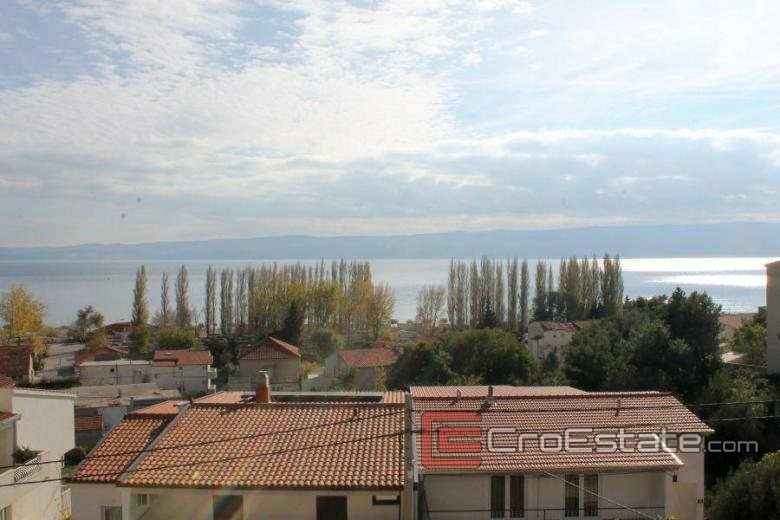 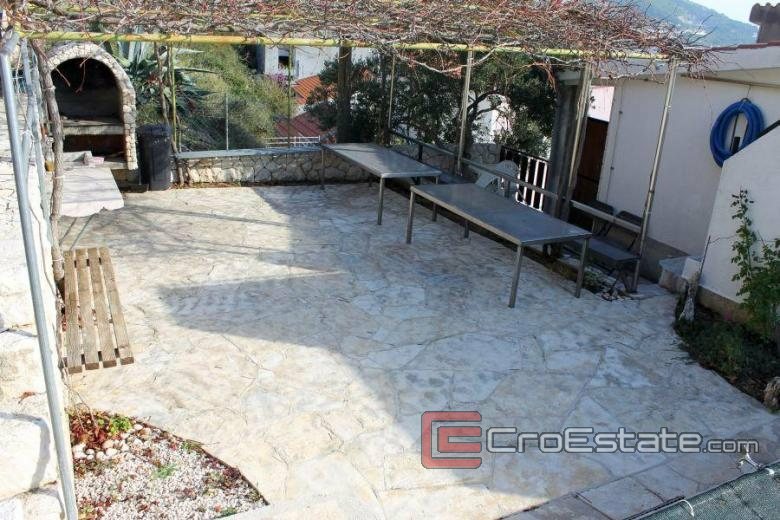 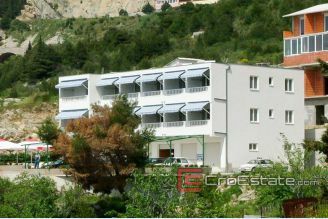 This spacious detached apartment building overlooking the sea is situated in a beautiful location near Omis. It consists of a ground floor and four additional floors. 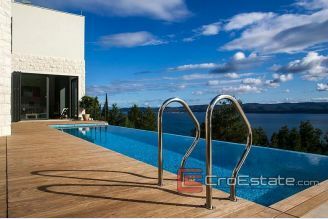 It extends over 600 m2 of living space and 650 m2 of land. 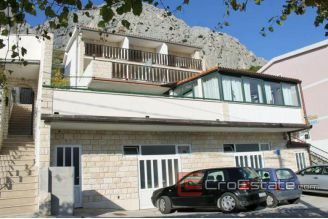 The ground floor consits of two garages, two storage rooms, and parking for 5 vehicles in front of the house. 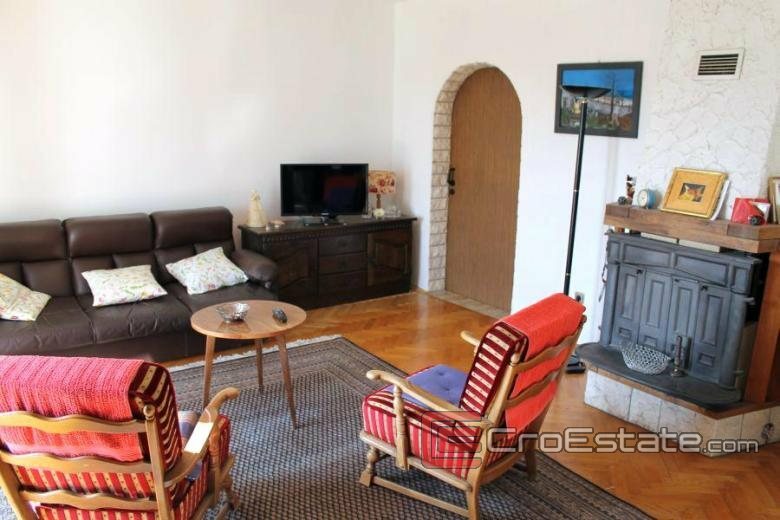 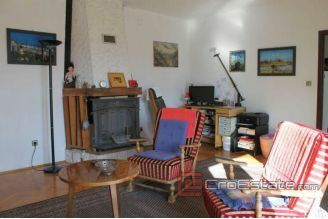 On the first floor a spacious 260 m2 apartment is sitauted which consists of two bedrooms, kitchen, dining room with fireplace, bathroom, small studio apartment on the side of the house, two spacious terraces (one is open while the other one is closed) and the summer kitchen. 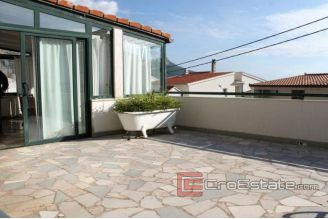 On the second and third floor two apartments are located, one of which is a one bedroom apartment, each with a bathroom, kitchen and terrace. 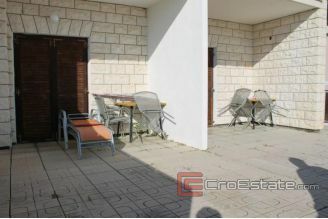 On the fourth floor there are 2 two-bedroom apartments with balconies and access to the space with a swimming pool, spacious terrace and fireplace, situated behind the house. 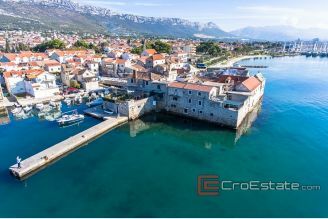 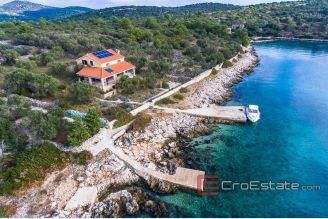 Given its location and proximity of Omis as well as a major city with all necessary facilities, make this estate an interesting option as an investment in the tourist business of renting.